A initiative attract, train and develop kids and youngsters to play tennis and enjoy the game. Our goal is to concentrate on players that want to raise their level of play. We are able to cater to the wide variety of needs and interests of Tennis Parents and Players. We want to tailor the time and expertise into a great number of educational and coaching options. This initiative has the objectives to attract, train, retain and develop kids and youngsters that have the desire to play tennis and enjoy the game. The training method emphasizes achieving excellence in a fun environment. Five game situations, technique, and physical education applicable to tennis are taught in the Recreational Program. 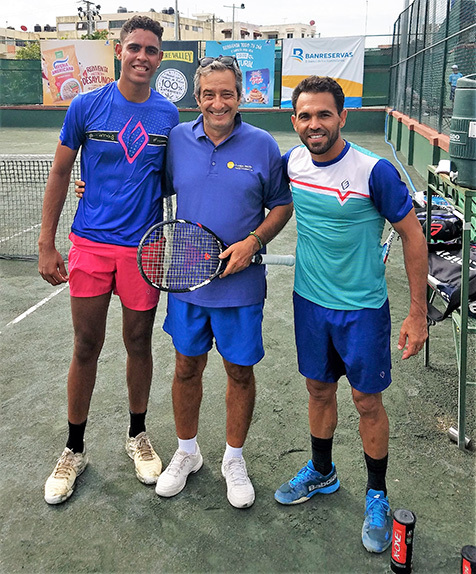 For the Long Term Competitive Development Program the purpose is the training of junior tennis players for local, national and international competition and to instill a long-term love of the game. Participation is based upon the level of each individual student and reaching individuals established goals. A passion to learn and to improve, as well as 100% effort, is required to attend and maintain a place in Competitive program. 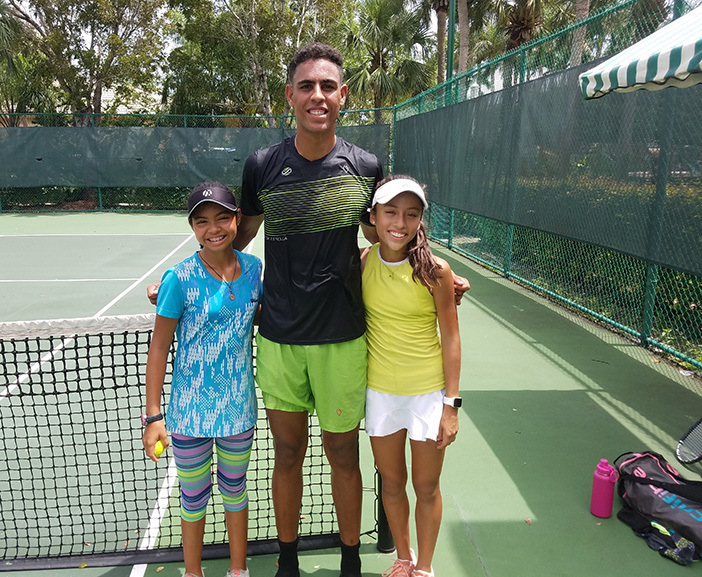 The 2018/2019 session of the GTC’s 16 & Under Florida Tennis Initiative® started on August 12th, 2018. We are pleased with the progress observed and to have the opportunity to work with new players. Some did an excellent performance during last months. We are proud to be the official venue of the USTA Florida “Tennis Para Todos / Tennis for Everyone” program. We provide personalized attention and we plan in advance the contents for every class. GTC Academy & Consultancy has the legacy of producing ATP/WTA Players, Davis Cup & Fed Cup Players, winners of Challengers, Futures, Grand Slams Juniors and Group A as well. We also strive to achieve full scholarships at the most prominent colleges in the US. 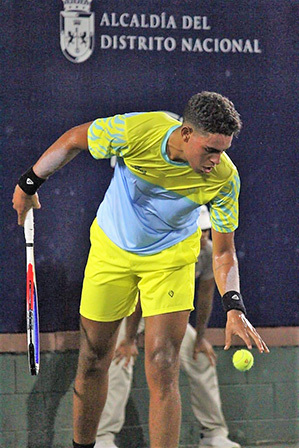 Sebastian Prieto, Jose Velazco, Ryan Sweeting, Victor Estrella, Young Seok Kim, Jose Hernandez, Victoria Rodriguez, Marcela Zacarias, Alex Llompart, Jaime Cuellar, Rafael Arevalo, Marcelo Arevalo, Julien Uriguen, Niluka Madurawe, Alejandra Canudas, among other players were influenced by Gustavo and the GTC training methodology. Part time & Intensive Summer Camps:Operates all year round. Full time Acceptance Criteria: Every player that shows interest in the program will start with a complete personal evaluation. The program works on a short, medium or long-term basis, depending on the level and need of the player. Players 16 & under are considered on a long-term basis. Due to the quality and personal attention given to players, spaces are limited (a maximum of 12 players is accepted per season). 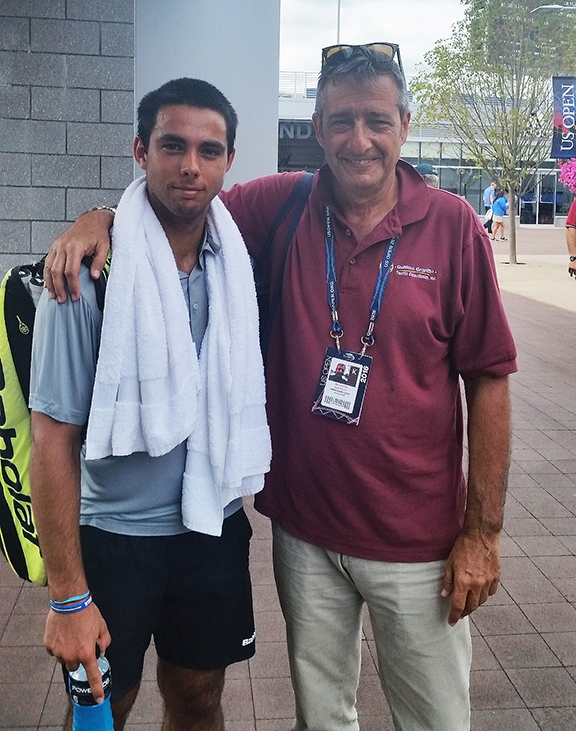 Gerano Olivieri and Gustavo Granitto during the 2016 US Open. GTC ACADEMY® operates at the facilities of Pembroke Isles, Pembroke Pines, Florida, home of GTC Tennis Consultancy. Boarding: Besides our tennis program, a boarding option is available. It includes: accommodation, three meals per day, and academic monitoring. The key attractive feature underlying GTC’s Parents Orientation program is the ability to tailor the time and expertise into a great number of educational and coaching options, all focused on the needs and interests relating to parents and players. “Independent of the particular characteristics of each player, the common denominator for the successful players appears to be the focus on the Long Term Development work in junior and professional stage. Each player needs a short, middle and long term goal”, Gustavo Granitto states. With GTC’s ability to tailor our time and expertise into a great number of service options, we are able to cater to the wide variety of needs and interests of Tennis Parents and Players. If you can’t afford to pay a full time or part time academy, Parents and Players are already benefiting from the option of GTC’s Parents & Players Orientation Program. For more information, please send us an email for an appointment. 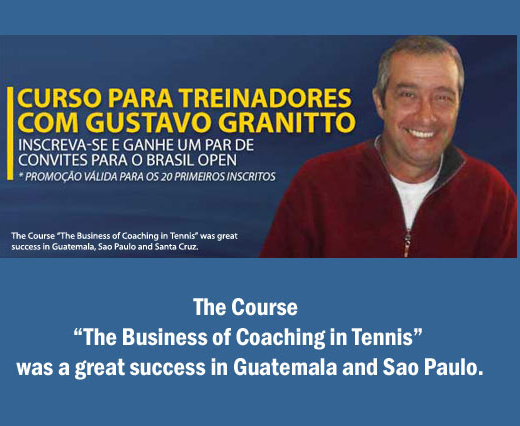 The GTC Coaching & Education program is led by Gustavo Granitto (considered one of the world wide leading experts in junior development, high performance and coaching education). Gustavo’s philosophy is to share more than his 38 years of expertise, success and passion in this job. 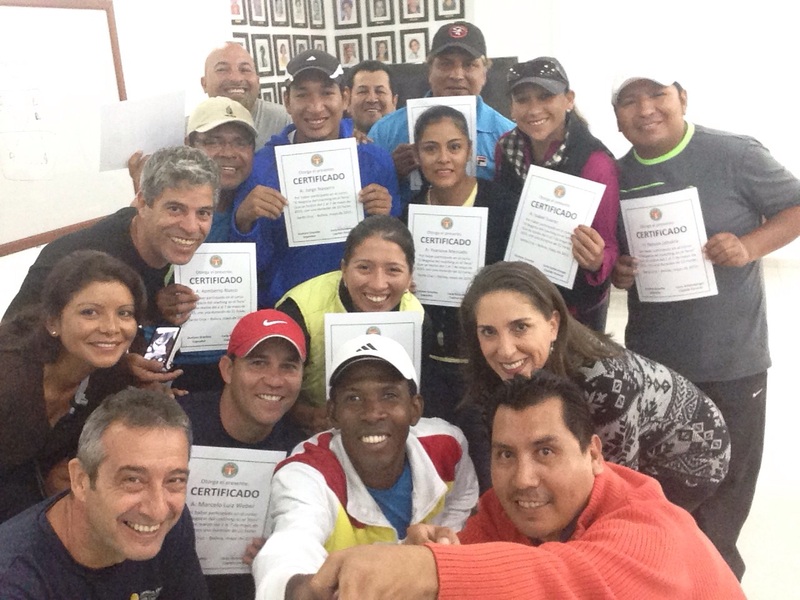 “I have the privilege to live doing what I love since I started teaching tennis at 19”, Gustavo states. The key attractive feature underlying GTC’s educational services is the ability to tailor the time and expertise into a great number of educational and coaching options, all focused on the needs and interests relating to coaches, administrators and parents. Certificate of Attendance & Certificate of Approvalare provided. (*) Available also online in both English & Spanish / Disponible también online en Español e Inglés. In coaching education, we guarantee that by the end of every educational activity and workshop, the coach will be able to realize his/her own level of competence; will recognize the importance of communication, leadership and methodology that will define his/her own style of coaching and will be ready to produce tangibles benefits in all levels of players and his/her job. Coach will produce an even greater impact in our sport, do better business and increase his/her income. Courses and Seminars are also available by webinar, both in English and/or Spanish. Bearing in mind that tennis is a sport with open skills, we teach and train each skill according to the needs identified in each player. Certainly we can say we designed a progression for each identified need, whatever the level of play is. Progressively increasing the challenge and fostering self-esteem are always present in our methodology. We believe in a long-term concept and to develop a passion for the sport that will last the players a lifetime. Our method is on service for the player, not the player is in the service of our method. Our method believes in servicing the player not the other way around. GTC Tennis Consultancy & Academy encourages players to reach their maximum potential, and to assist parents to have a more effective relationship with their children players. We also enjoy retaining more kids in our sport, and coaching Coaches to be more successful in all areas presented in their job.